Great week – better than expected. The guide was brilliant. He adapted well and handled himself professionally at all times, plus learnt how to swear like a trooper in the process. All the boys had a great time. Too many highlights to mention. 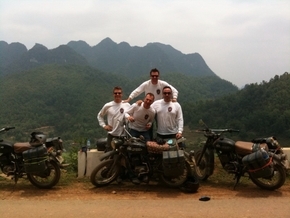 Will recommend you and hopefully see you again for the Ural ride next time.